The universe had different plans for me for a while but it was in the back of mind that I needed to at least try one term of teaching kids to code even though I have never worked with children or have done any sort of volunteering. Code Clubs are usually run as an after school club and that was a problem or what I thought was a problem. As a freelancer I am usually at a client’s site and leaving early once a week, every week is not usually an option. Whilst working at one client, I met a Code Club volunteer who was helping run a Code Club from a library which started at a more achievable time. Finding this out coupled with my visit to a Code Club session made me double down my efforts to become a volunteer. I got in touch with my local library with a view to getting a Club started and met with the Library outreach worker who was also enthusiastic about getting a Code Club up and running. So fast forward to January 2019 and the first Code Club where I will be volunteering is 24 hours away. I remember being very nervous before the first session. I had prepared myself as much as I had thought possible. I had completed the first Scratch project, Rock Band so many times that I could do it from memory and probably without looking at the screen. On arrival I met with the two other volunteers and the Library outreach worker. I had initially thought there would be too many volunteers for the 8 children but like most assumptions this turned out to be incorrect. Once the first session got under way and the questions from the children came in the time passed quickly and soon it was over. Wow. I felt like I was walking on air on the way back to the car. It had been an amazing experience and one that I had waited many years for. I felt I had achieved something after that first session. I was still nervous the following week for the second session although noticeable less than the first session. By week three the nerves although still present were being replaced by getting excited and looking forward to the upcoming session. I was still completing that weeks Scratch project many times and and trying to second guess what questions would come up. However I was starting to see there wasn’t much value in doing this because the children were rarely were interested in creating identical copies of the Scratch project for that week. Instead they took the projects in all sorts of weird and wonderful directions. It was magnificent and something I wasn’t prepared for at all. The children’s technical ability is amazing. They are rarely phased by new things being introduced and all were very comfortable in using a computer. Some weeks were more successful than others. The most popular weeks were the gaming projects especially Boat Race when we arranged competitions with the other volunteers and children to get the best time. It was also my favourite session out of the seven. All too soon the Club had reached the seventh and last session of our first term. There was a huge appetite from both children and parents to continue so after a couple of months break I will be back starting again in May for another term. SQL Developer: New worksheet, new session? The out of the box behaviour of SQL Developer is that SQL worksheets share the same connection. If you perform a insert, update or delete in one worksheet without issuing a commit, the result(s) can be viewed in another shared worksheet. This can be illustrated by the following example. Next using using the first worksheet, an insert into table t operation is performed. No commit has been issued. Navigating to the second worksheet and querying the table again and the newly inserted row can be seen. It is possible to open a SQL Worksheet with a dedicated database connection. In SQL Developer this is called an unshared connection. From an existing worksheet the keyboard shortcut on Windows is CTL + SHIFT + N. This will only work from a shared worksheet. It is not possible to open a new unshared worksheet from an existing unshared worksheet. The following screenshots demonstrates how an unshared connection differs from a shared connection. Two shared SQL Worksheets: hr and hr~1 are started along with and one unshared: hr (Unshared). In the first worksheet I perform an insert operation which has not been committed. Switching to the second shared worksheet, the uncommitted record is shown after querying the table. Moving to the unshared connection and querying the table no row is returned. The unshared worksheet is working as expected as a new session will not see uncommitted records. Opening Unshared Worksheets was the inspiration and source for this post. NDC London 2019 managed the impossible by being even better than last year. How is that possible? Everything just seemed more ++. The facilities, the choice of food, snacks and beverages, the swag socks. Sure sometimes the lines for food were long during the traditional lunch hours and the halls were very busy but you could always find a place to talk or pull out your laptop. I attended 21 talks during the three days and I took away at least one thing from each one that is going to make me a better developer. The slides used during talks are worth mentioning. One of the things speakers at NDC don’t do is to use them as a crutch or read from them. They are used sparingly and only then to add something to the talk. They are usually innovative in their design or enjoyable to look at. Fortunately both bullet points and Death By PowerPoint presentations are not on the agenda. It is worth keeping an eye on the NDC site so when the videos of the presentations appear I recommend watching these. Scott and Troys talk was not recorded because it was part of the after show party. Leadership Guide for the Reluctant Leader – David Neal. It was early on a cold, dark, wet morning and I was not looking forward to the commute. I wasn’t sure what made this one challenging. Was it the first one after a three week break? Perhaps it me forgetting albeit temporarily the average journey time of 90 minutes. The truth was probably a combination of these and other factors. Hanselminutes is one of my favourite podcasts. It is hosted by Scott Hanselman and each week Scott sits down with a guest to discuss a topic that is of interest to developers regardless of experience or language preference. The show starts with no throat clearing and with the guest introductions complete, Scott dives straight in and the show gets underway. The shows are conversational in style with Scott and his guests discussing this weeks topic and sharing stories. Scott gets the best out his guests by asking the right questions, listening without interrupting, clarifying opaque terms and deciphering acronyms. The wide range of topics discussed, with the current weeks topic different from the previous weeks is part of the shows secret sauce. The result of listening to Hanselminutes is that I have become a better developer. Thanks to Scott and his guests generosity I have become more informed in areas of software development that I hadn’t thought about. Listening has also increased my desire to level up as well as experimenting with the “thing” that was discussed on that weeks show. One use of an EventEmitter in Angular.io is for a child component to tell it’s parent something of interest has happened or to put it another way; they can be used to allow data to flow out of your component. Below is a diagram of the application which I am going to be using in this post. It shows the parent (App-Root) and the child (App-Child) components. This post will build an application so that when something (in this case a button press) occurs in the child component the parent component should know about it. When learning about EventEmitters I found it useful to understand the component hierarchy because without it I found it easy to become disorientated and end up not knowing what component needed to emit the event and which one needed to handle it. Create a brand new application. If you get stuck or want to look at the completed example, it is up on GitHub. Create a new component. I am using the short cut of g c (generate component) and spec = false to omit the testing file. This line creates a new EventEmitter property called whichButton and is decorated with @Output(). To use the @Output decorator and the EventEmitter they are added to the import statement at the top of the file. Next is the method that the click event on both of the buttons use. It invokes the emit method of the whichButton property. At this point the child component now has been set up to emit an event each time one of it’s buttons is pressed. Now it’s on to the parent component to write the handler for this event. So whenever there is a “whichButton” event emitted by app-child it will be handled by the whichButtonPressed method. whichButton is the name of the EventEmitter property from the child component and whichButtonPressed() is the name of a method that will handle the event. This method hasn’t been written yet but will be in the next step. String interpolation will be used to display the name of the button that has been pressed. What is interesting here is that the code can access the event object without needing to pass it in as a parameter. If you want to find out more about the $event take a look at the Angular docs. app.component.html will use to display which button has been pressed. This property is set by the method whenButtonPressed(). Here is the finished application showing the buttons that are on the child component and the result of pressing one of them being handled by the parent component. 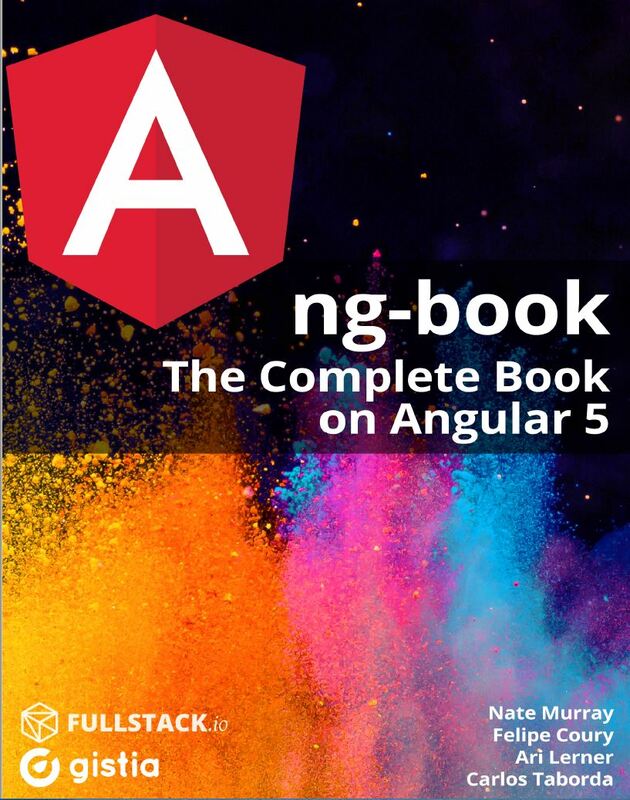 Update 26/03/2019: This post has been replaces an earlier and incorrect version I had written on installing Bootstrap with Angular. Once the app has been created, run it to ensure it works. With the skeleton of the Angular app in place using your favourite browser navigate to the Bootstrap home page and select Get Started. You should then see the button, styled by Bootstrap appear on your page. If not press F12 and investigate any errors displayed. 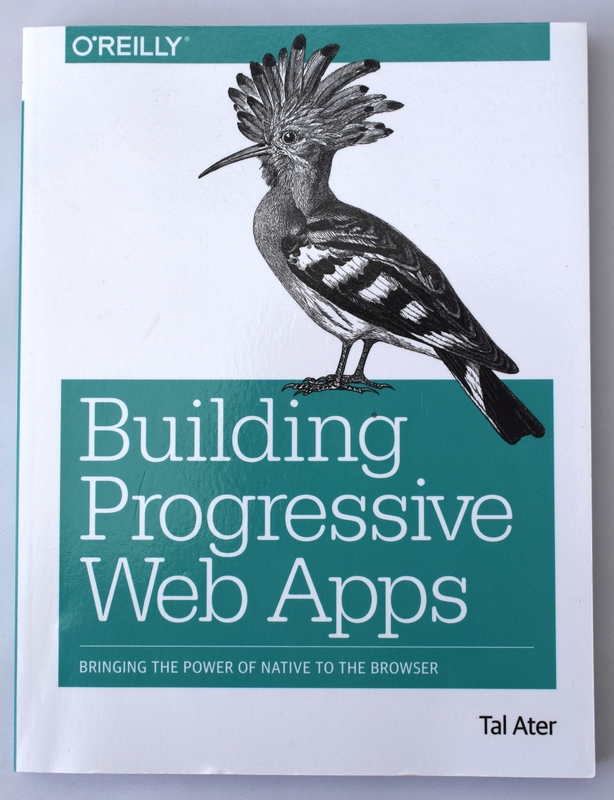 Following my attendance at NDC 2018 I wanted to find out more about Progressive Web Apps (PWA) so I started with this book. The four chapters of the book that I did get through were well written. Don’t let the page count of 600+ put you off. This is not a dense literature -esque book. The text is clear and concise and is complemented by illustrations in colour. I had I have already talked about this book here. Suffice to say I am not a fan. 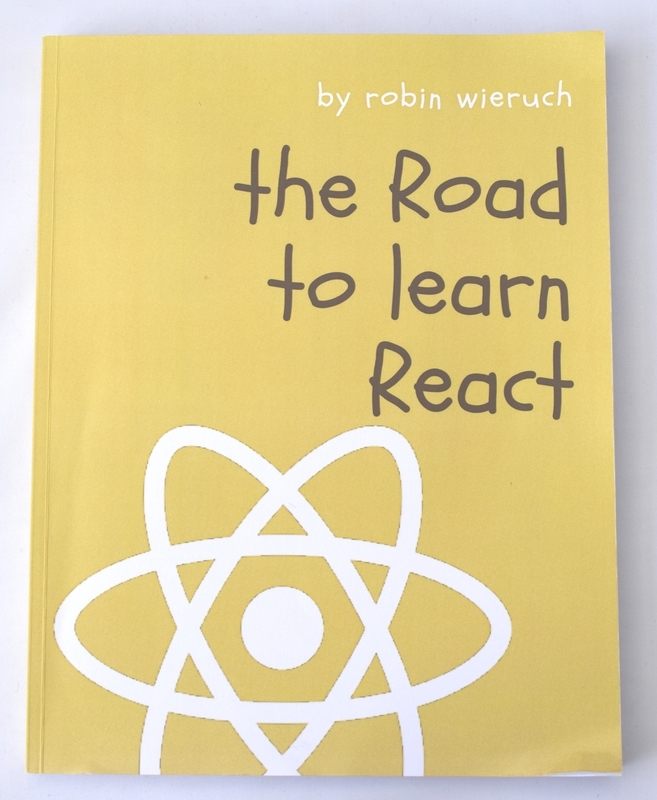 I became so fed up with wrestling with this book, especially the chapter “How Angular Works” it put me off Angular for a while and made me switch to another SPA framework, React. At the time of buying this book, it had only good reviews on Amazon.co.uk. However I have now seen there is a 2 star review which although a little harsh mirrors some of my own thoughts. Another buying signal was the 180 page count so it was not going to be another behemoth learning “X” programming language door stop. Unfortunately I didn’t get on with the format, it is A4 which means it takes a lot of desk space when the book is open and you are working through the examples and trying to see where you went wrong. There is plenty of white space on each page and I can’t see a reason why it was published at this size. Format aside I did enjoy the authors writing style and easily got over half way through the book with little effort. React however wasn’t appealing to me and I have since returned to continue my SPA education using Angular coupled with a Udemy course. 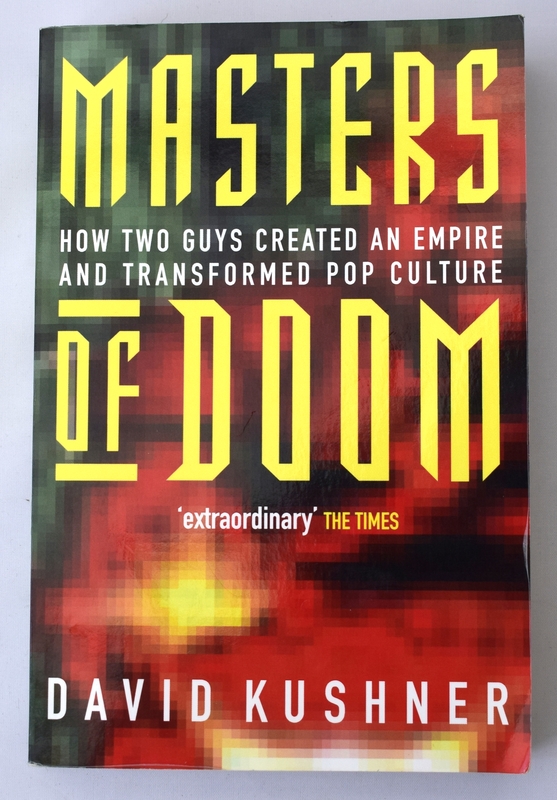 This superb book tells the story of John’s Carmack and Romero who created id Software which after some excellent releases developed Doom which took them and their company into the stratosphere. Although new to me, this book was originally published back in 2003 and having been a fan of First Person Shooters (FPS) since playing the shareware version of Doom on a friends 486 this book was almost as additive and I struggled to put it down and it became one of my favourite reads of any genre this year. I was reminded that I should read this book after I had listened to an episode of Seth Godin’s excellent podcast where he made reference to it. Second hand copies are available for a bargain on Amazon and although now over 20 years old it is should be no surprise coming from the author of Code Complete that it still stands up well today. 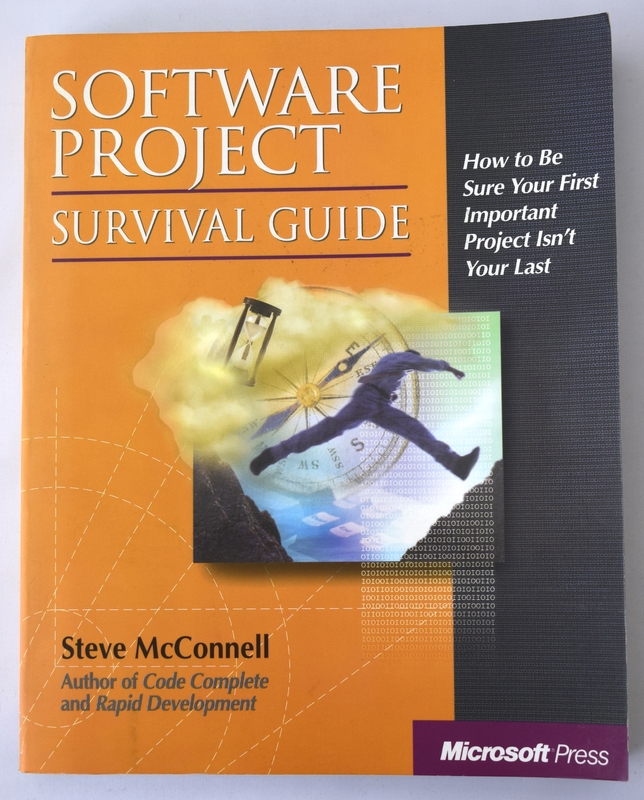 It is jam packed with sage advice that will help make running your software project a better experience for everyone involved. Some of stand out parts were the coverage of Team Dynamics, Estimating, Staged Delivery (i.e. sprints. This is in 1997!) and finally how developers should address the most difficult part of the application first. This was the last book that I managed to get in before the end of the year. I was made aware of it whilst listening to an episode of Dave Rael’s podcast Developer on Fire. With forewords by Scott Hanselman and Uncle Bob, it has high standards to keep up and it doesn’t disappoint. The book is split into seven sections covering a disparity of topics such as career, marketing yourself, learning, financial matters and physical fitness. The chapters are small which encourages you to dip in and out instead of reading the book cover to cover. The writing is engaging, in a warm friendly style that is never condescending or patronising. It is like having the mentor you always wanted by your side. The book has been a joy to read and some of the chapters that have helped me the most were on don’t be afraid to look like an idiot and learning. In fact I am using John’s tips as I learn Angular and I am seeing results already. 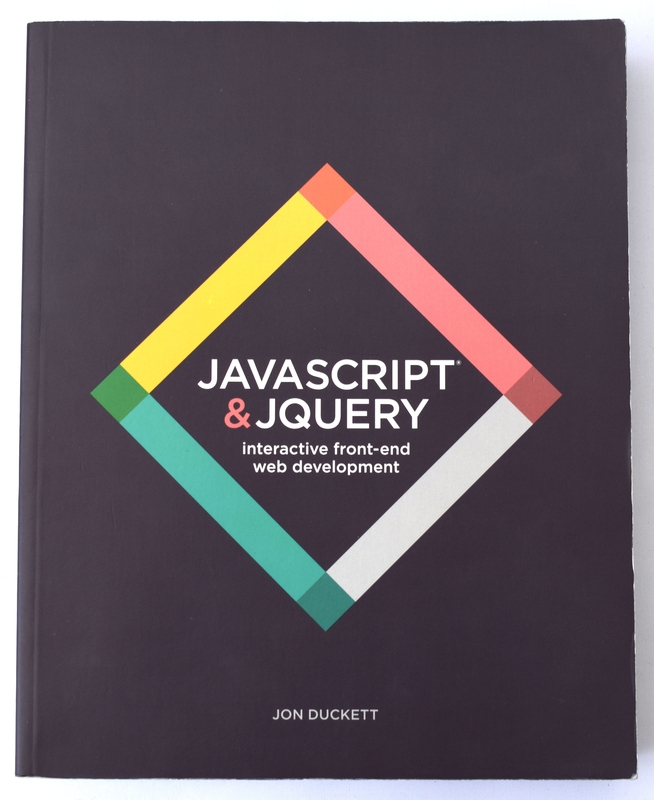 It doesn’t matter if this is your first or 20th year as a developer, you will get something out of this book. All the books I have read this year have enriched me in one way or another, yes even the ng book. 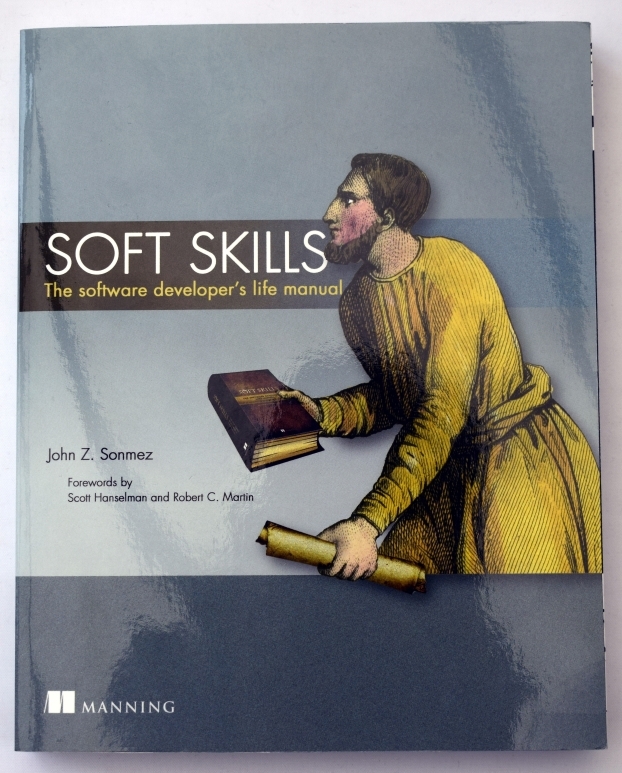 Good technical books remain a screaming bargain and one that many developers today overlook.